Motorola's Talkabout MS350R 35 Mile Range, Waterproof, Two-Way Radio is by no means a fair weather radio. This high performance, ultra durable waterproof radio is right for the extreme outdoors. 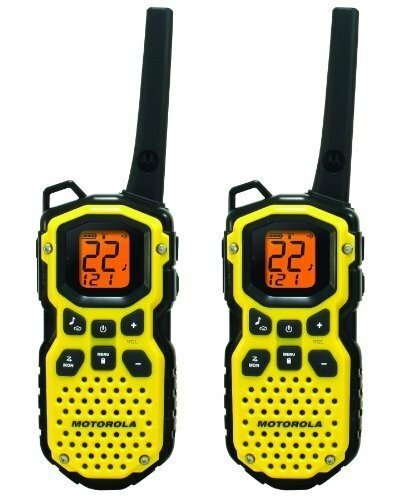 It uses both Family Radio Service (FRS) and General Mobile Radio Service (GMRS) frequencies providing more channel combinations. With a range of up to 35 miles, 22 channels and PTT Power Boost Feature, this radio is built for function, but also boasts a sleek contemporary look that holds its own with any trendsetter.